A new gameplay trailer for upcoming dictator sim Tropico 6 has been released, showing the new features you can expect. The game is releasing sometime this year, and will for the first time allow to players to link islands together, building bridges and trade routes between them. 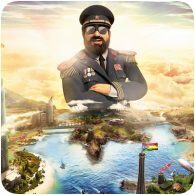 As with Tropico 5, which was a PlayStation Plus title way back in May 2016, you play the role of El Presidente – the ruler of the island state of Tropico. The game will be releasing in 2018 on PS4, PC and Xbox One.